... although its child controls are set up properly, then your form may behave in a weird way. The second grid, SalesLineGrid, has DataSource property set to SalesTable. 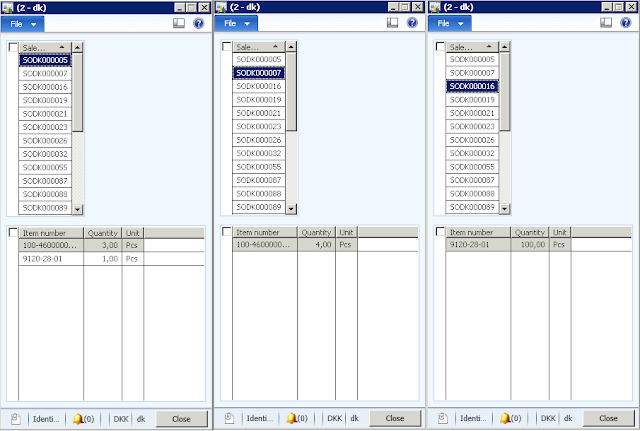 That value was set by default at the moment the grid control was created. 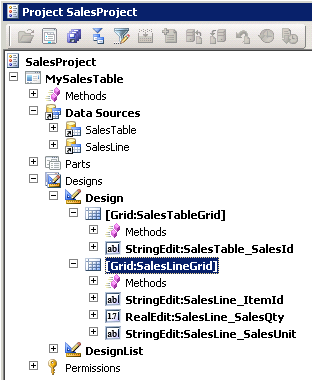 You can also see 3 controls in the SalesLineGrid, but their DataSource properties are set to SalesLine, so they are fine. 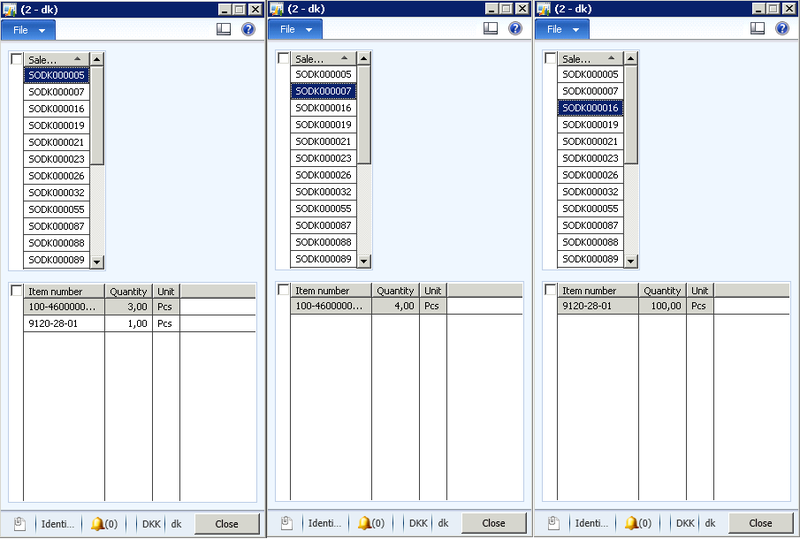 As you can see, the cursor position in the second grid changes in sync with that of the first grid, there are a lot of "empty" sales order lines, and, finally, the rendered sales order lines are actually wrong.